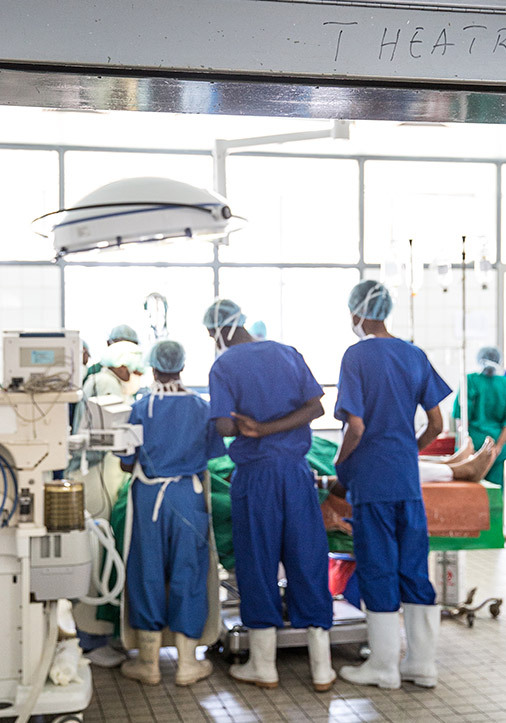 While there have been substantial healthcare improvements in sub-Saharan Africa over the past decade, there are still many people without access to healthcare. One in ten African children will not survive to their fifth birthday. A person born in sub-Saharan Africa has a life expectancy 20 years less than a person born in United States. Infectious diseases are now coupled with an increasing burden of non-communicable diseases such as diabetes and cardiovascular diseases. There are fewer than three healthcare workers per 10,000 people. The World Health Organization recommends a minimum ratio of 20 per 10,000 people. A Tanzanian woman is 80 times more likely to die in childbirth than an American woman. Access to the most basic healthcare services is limited, particularly for the 70% of Tanzanians who live in rural areas. Most will go their entire life without seeing a doctor. Preventable and treatable diseases, such as diarrheal and common respiratory infections, account for the majority of deaths in Tanzania. Touch Foundation strengthens local health systems in sub-Saharan Africa. We apply a three-phase strategy for scaling solutions to the most pressing global health challenges. Much of our work to date has focused on designing and implementing programs in the Lake Zone of Tanzania and demonstrating impact. Successful solutions are then scaled up to a regional/national level​. Ultimately, we aim for our solutions to be adapted and replicated in other countries facing similar challenges to achieve broad, transformative impact. Healthcare workers are essential to healthcare delivery, and there is a direct link between a country’s number of healthcare workers and a country’s health outcomes. Without healthcare workers to accurately diagnose patients and administer treatment, the impact of other interventions, such as increasing drug supplies or building health facilities, is limited. 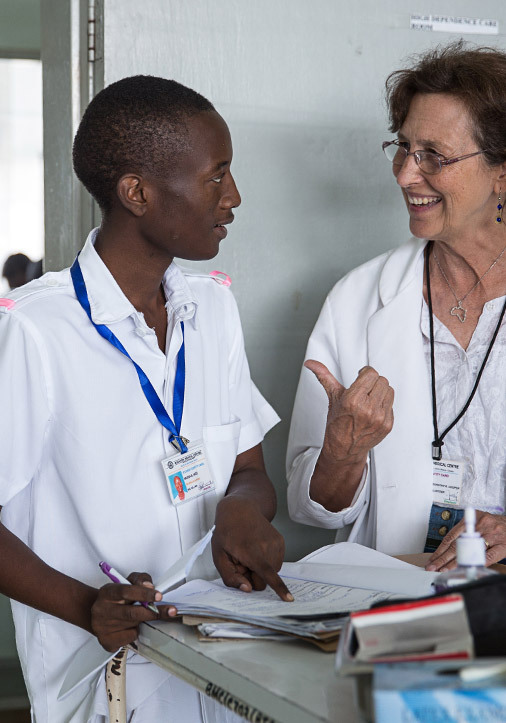 While international volunteers provide crucial support, training a country’s local healthcare workforce ensures a sustainable pipeline of healthcare workers into the future. 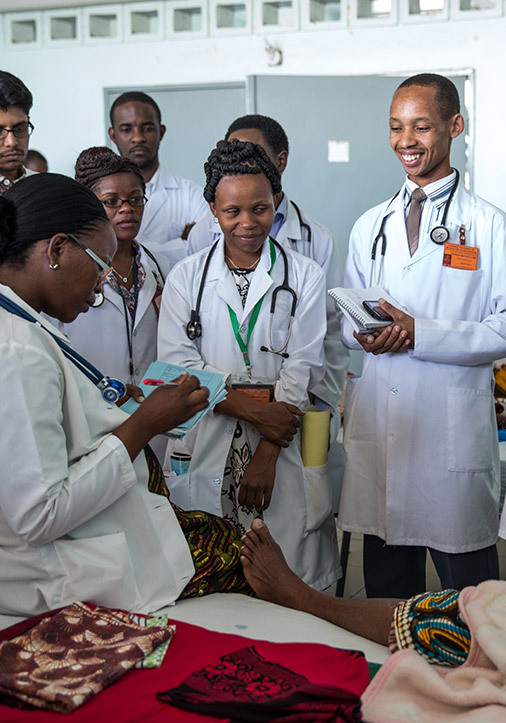 Treat & Train began as an initiative to improve medical education by connecting hospitals so medical students could gain valuable experience in smaller external rotations while also helping to provide better care to patients in under-resourced health facilities. After external rotations proved a successful model for improving education, we realized the value in creating connectivity among health institutions that previously operated singularly. We have continued to develop this integrated Treat & Train Network of healthcare and educational institutions and this ‘network’ concept shapes all of our programming. By strengthening hospitals within the Treat & Train Network, scarce resources are shared and maximized, and we are able to achieve systems-level improvements. 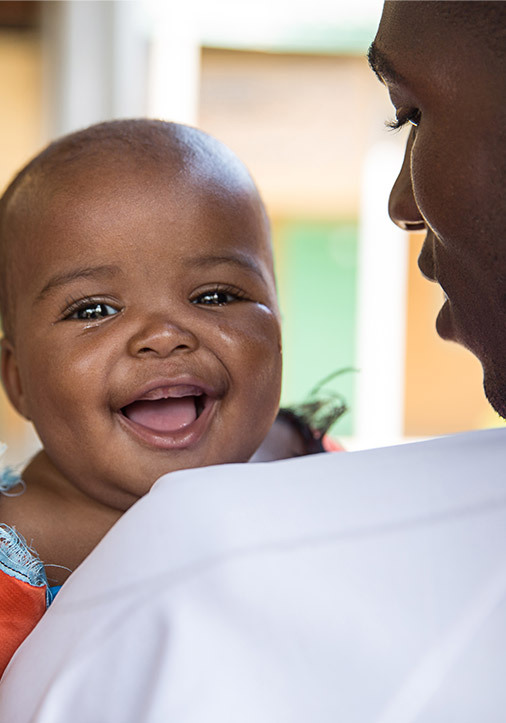 We choose health priorities because of their disproportionate effect on Tanzanian people, and we make sure that our interventions also strengthen the health system. Poor health is a product of a weak health system, so in addressing specific health priorities, we also want to strengthen the system to ensure long-term progress. This involves understanding the multiple factors associated with prevention and patient behavior, identifying gaps in healthcare delivery, and developing solutions that cut across the boundaries of a singular disease treatment. For each targeted health priority, our goal is to leave behind a stronger health system. Touch Foundation saves the lives of mothers and newborns by improving the health system and providing emergency transportation to ensure they have access to quality care during and after pregnancy. With nearly half of all Tanzanian women giving birth at home without the care of a skilled health worker, deaths of mothers and newborns due to birth complications is unnecessarily high. Complex and systemic issues like weak health systems and delays in accessing care lead to the high rates of maternal and newborn mortality. Achieving the Sustainable Development Goals related to maternal and newborn health is possible if governments, donors, and civil society collaborate to expand proven solutions. We are addressing non-communicable diseases with an approach that strengthens the entire health system. Non-communicable diseases (NCDs), also known as chronic diseases, are not passed from person to person. They are generally slow to progress. They include cardiovascular diseases (like heart attacks and stroke), cancers, chronic respiratory diseases, and diabetes, and they disproportionately affect low- and middle-income countries, where nearly three quarters of NCD deaths—28 million–occur. A person in Tanzania is nearly three times more likely to die of diabetes or heart disease than in the United States. These are often premature deaths and preventable diseases. Tobacco use, physical inactivity, unhealthy diet and alcohol consumption can increase the risk of NCDs. As Touch implements our programs in Tanzania, we magnify our global reach by documenting results and sharing our knowledge with local and international partners. In addition to publishing reports, our team presents our work at international conferences. This external evaluation analyzes the outcomes and social and economic value of our Treat & Train clinical education program implemented in the Lake Zone of Tanzania. It finds that the program improved the quality of healthcare services, increased the willingness of students to work in rural underserved areas after graduation, and reduced the financial burden on patients. 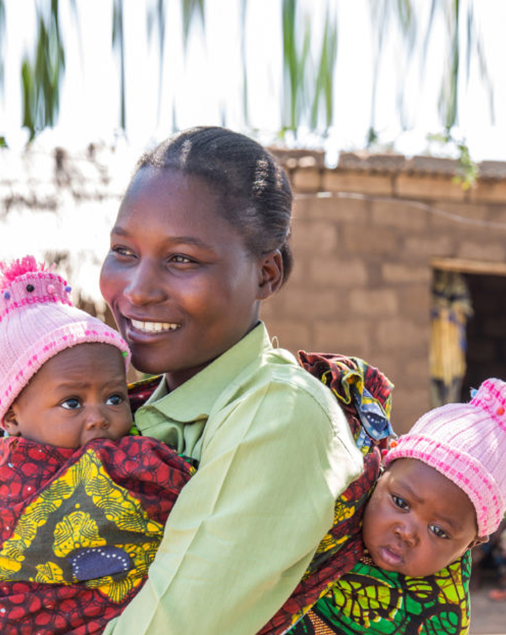 This report analyzes the impact of M-Mama’s emergency transportation system (EmTS) on the health outcomes of mothers and newborns in rural Tanzania. It finds that the EmTS solution significantly reduces the maternal mortality ratio and is highly cost-effective. This report reviews the successes and positive impact the organization has had to date on health system strengthening in Tanzania. The report also discusses the programmatic priorities for Touch going forward. This report provides a deep-dive analysis of the achievements made from 2004-2012. 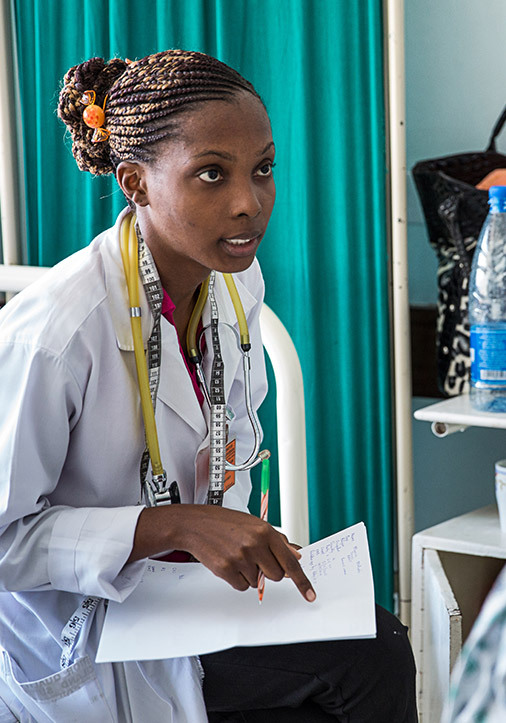 We ensure the longevity of our impact by partnering closely with institutions that have a vested long-term interest in the country, including domestic and international governments, local healthcare institutions (public, private, and faith-based), international non-profit organizations, U.S.-based hospitals and private companies conducting business in Tanzania. Read about our funding partners.